Today's post is something a little different, I'm doing a collaboration with my fellow stationery addict Kelly from To Become Mum because we both recently purchased our first planners and thought it would be a great idea to write posts explaining a bit about it, how we like to plan and where our love for planning comes from. We divided it up into four sections and below you'll find both mine and Kelly's answers, if you enjoy this post and are a fellow stationery lover yourself please pop over to Kelly's blog where you'll find her post and I'm sure she'll be posting more on her planning journey in the future. As for me I'm hoping to write at least one planner related post every week, whether it be about my weekly spread or a haul or just something stationery related, if you want to see more of my stationery collection then head over to my Planner Instagram account and give me a follow. I'm the first to admit that I'm not very good at getting motivated and I will put things off or simply just forget that they need to be done at all which actually really frustrates me because I hate being unproductive. The only way I've found that works really well to get me motivated, organised and productive is to write lists and keep diaries, I don't know what it is about lists but I love them and if I make a list of things I need to do they get done, if I don't then they just never seem to happen, it's as simple as that. I have a diary for work and blogging and I write lists for meal planning, jobs I need to do around the house and food shopping and all of them are separate so I thought it made sense to get one personal planner that I could put everything into and I could then be completely organised and have everything all in one place. There are lots of different types of planners out there in many different sizes so choosing 'the one' was not easy. There are coil bound planners where you can't take the pages out, ring bound planners where you can take pages out and also add things in or more notebook style planners that are stitched like the travelers notebooks. Then you need to decide on size, do you want the larger A5 planner which fits a lot in but isn't easy to carry in your handbag or the personal size planner which is quite a bit smaller but very portable, so many decisions. I've seen a lot of people with the Erin Condren Life Planner which looks great but it's quite expensive and has to be shipped from the US so I decided against that one initially just incase I decided planning wasn't for me. I watch some Youtubers who use planners and I noticed quite a few of them had a Kikki K personal planner which are ring bound and come in a variety of gorgeous coloured leather covers, they really caught my eye and when I noticed Kikki K were having a sale with 40% off some of the planners I fell in love with the Ice Blue Perforated Leather Medium Personal Planner and immediately placed an order. I chose the personal size because I wanted to be able to carry it around with me if I needed to and I liked the idea of a ring bound planner because I knew I wanted to add things and customise it to make it really work for me. The Kikki K only comes with monthly inserts which is a bit of a pain because I definitely needed weekly inserts so I had to order those separately, I chose not to order them from Kikki K because I wanted some that were a bit cuter and more decorative so I ordered some from an Etsy shop online. I like the fact that there are lots of little pockets on the inside of the Kikki K covers to keep little accessories in like memo pads, sticky notes and paper clips which comes in handy, it also gives you the chance to decorate your planner a little bit and really put your stamp on it which I also love. I've already switched out the dividers for cuter ones and added a few little accessories to make it reflect my personality more. I think it's fun things like that that will keep me interested in my planner and continue to use it all year round. To keep myself on track with everything that's going on in my life I like to sit down every Sunday and plan out the week ahead, I use washi tape to decorate my weekly pages and then add in cute and colourful stickers to show when I'm working or when tasks need to be done and also if there is something I need to remember like an appointment or a birthday. I really enjoy the creative aspect of decorating my planner, I find it relaxing and as silly as it may seem it really gets me excited and motivated to get all of my jobs done that week. I also plan out all the meals we're going to have that week and then I have a notepad in the back of my planner for my shopping list so I then jot down any ingredients I need to buy to make the meals as well as anything else we may need. I have a finance section in my planner where I like to keep track of my income and expenses for my business which is really important when it comes to doing my tax returns etc. I'm quite bad for not keeping track of these things even though I know they're really important so it helps to have a dedicated section in my planner for this. With regards to planning out further than a week in advance I write appointments and important events on a sticky note and pop it in that week and then when it's time to plan that particular week I can take out the sticky note, decorate my planner as normal and then add in the appointments afterwards, that way I don't forget anything. The main reason I got into planning was through watching videos on Youtube of people planning out their week in their planner using pretty washi tape and stickers, I find the videos really relaxing to watch and I love to see how they turn pretty plain, boring pages in to a work of art. I started out watching videos by Elle Fowler on her Glam Planner channel where she decorates her Erin Condren planner using stickers from various Etsy shops aswell as more recently her own as she started designing her own sticker range, through her channel I moved onto watching Andrea's videos on her channel Scribble Prints Co where she also decorates her planner using other peoples stickers as well as her own. I then started to look for other planner Youtubers to watch and came across my favourite channel at the moment which is Jenna Rose xo, she does weekly Plan With Me videos and I don't know what it is about her videos in particular but I just really enjoy them, she's funny and easy to listen to as she talks you through what she's doing and I always look forward to watching her videos, she definitely inspired me the most to start planning and to buy my Kikki K planner. My other favourite and most inspiring Youtube planner at the moment is Stef from Noveltea Corner, she designs the most beautiful and creative spreads in her personal planner I'm just obsessed with watching her videos. She gives me so many brilliant ideas and I look forward to her new videos every week. So that's everything you need to know about my planner now let's move on to Kelly's answers. I have to plan as otherwise, things just won't happen. I get on edge if I don't know what's going on, or when or what I need to do. Planning makes me feel in control and as I've said, it makes me feel in control and a sense of calm. Honestly, writing a to do list is so simple but so therapeutic! It allows me to make sure all the essential things get covered off and that I make time for the fun stuff too. As a couple, we don't tend to run into things without having thought them through first and knowing what we want, when we want it and how we can make it happen makes me feel good. Having goals is a good thing and planning helps me to get there. 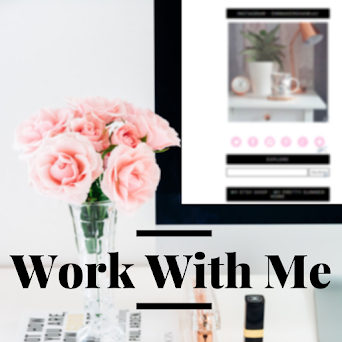 There's so many different things to think about - shopping, bills, work, appointments, nursery, friends, family, blog ideas... - it's impossible to keep it all in my head! I also like to keep a record of our lives and the people and things going on, so my planner is something that means a lot to me. Finding the right diary has been a long, tough journey and really, I realised that a planner, that allows for more than just daily entries, was the best solution for me. I've flitted from Filofax diaries to standard ones from Paperchase, and each one had it's good points, but none of them had everything I needed, all in one. Whilst I had thought that a smaller diary (A5 or the Filofax personal planner size) would be best, as I could pop it in my handbag and take it with me anywhere with ease, I've realised over time that I need something a big bigger. I have large (scruffy) handwriting, my notes can be a bit all over the place and ideally, something more than a diary works for what I need. With this conclusion, and my new stationery discovery, Kikki K, I just had to opt for one of their large time planners. It's just like a Filofax and those inserts plus those from Paperchase fit inside perfectly. Kikki K is a Swedish brand that can be bought online and shipped to the UK, plus they have a new shop and a pop-up too at Covent Garden. I fell in love as soon as I saw their ranges - beautiful colours, lovely designs, clever paper craft ideas and motivational messages - and it took some time to choose which planner I wanted. I loved their peach design (Katie from Mummy Daddy Me has the medium planner) and the ice blue was beautiful too, but I opted for the sunshine yellow leather planner, in large (currently on sale for £28.80), as I love yellow, it looked bright and cheery and the inside had a striking black and white striped fabric lining. When it arrived, it was even more beautiful than on the website. It has a lovely feel to it and the inside flap has two handy notepads, space for letters or notes, place two business card / post-it holders, and there's a notepad at the back too, plus a pen loop. I have to admit, the 'K' on the button clasp makes me smile, as it's like it's been personalised just for me. 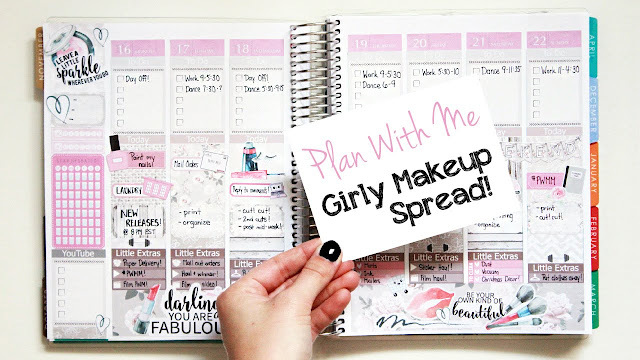 I have split my planner into different sections, including my day to day diary (work appointments, occasions, daily reminders), a month to view section (to plan my month at a glance) and then two sections for more detailed planning. Here, I'm trying to make daily planning notes for our meals, so we plan out our shopping and cooking so we can make the most of everything we have and eat well too. I am also trying to plan in 'me time' or other things we should make time for. For this, I use the Kikki K study planner sheets, as there's six columns per day, so you can choose a topic or theme for each column. This would also work well if you want to keep track of each family member's daily activities. The other section I have for more detailed planning is for my blog, so I can note ideas that I have then plan in when certain things can be scheduled for. It helps me to think things through and come up with new post topics or remember linkys I like to join up with. I have different coloured pens to write appointments, notes and reminders - gel pens, as I like the finished look they give - plus orange arrow stickers for meetings and pink heart stickers for things like days out, which I picked up from Paperchase. I am also a collector of post-it notes and can't resist a sticky note or tab in a fun shape or pretty paper print. And don't even get me started on washi tape! I have a pencil case with my favourite go-to items in, that I take with me when taking my planner to work and so on, then keep other bits and pieces at home as I like to sit down and take more time on a Sunday to look ahead to the week coming up and have fun with my planner. I also enjoy scrapbooking, and have the Project Life range, so have added this to my planner. They have smaller album pages and with the use of a single hole punch, I have made these in perfectly so I can use the journal cards too (these are also what I used to create my blog header). When you start to look into, there's so many planner addicts out there and some people seem to turn their planners into works of art. My planner updates are much more sporadic, but that doesn't stop me from gasping in awe of the wonderful things you can do - and aspiring to make more time to try some of these things out for myself. I really hope you enjoyed reading about mine and Kelly's planners and if you did make sure you look out for more planner posts coming soon, I also have a pretty exciting announcement to make in the next few weeks and I'll be hosting a planner related giveaway over on my Instagram planner account so make sure you give it a follow. Arghhhhh! Covet, Covet! I want your planner! I love lists, I love being organised and I love proper physical notebooks, planners and paper and nice pens and nice pencil cases...Sooooo much more fun than virtual planning. Great article. I am glad to see the filofax/organiser is not dead but has had a makeover!